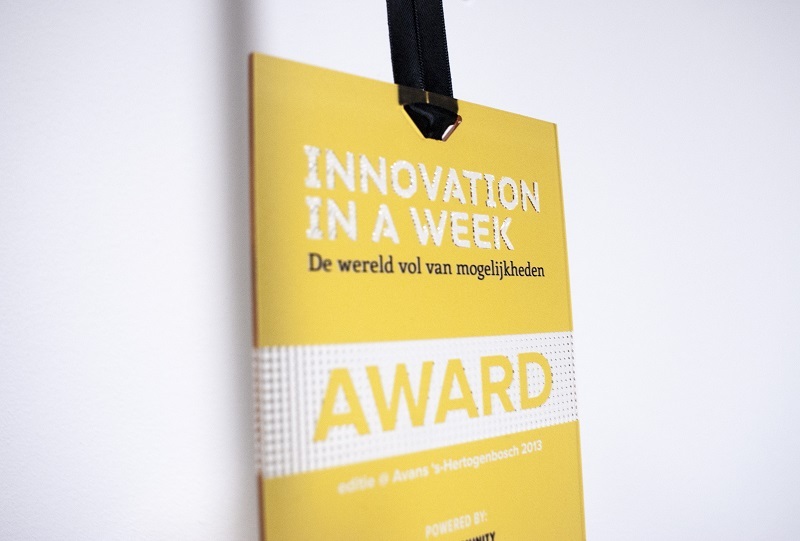 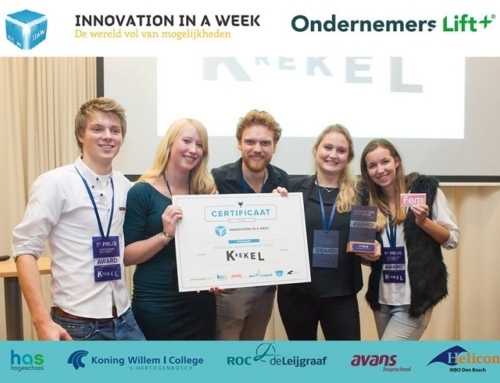 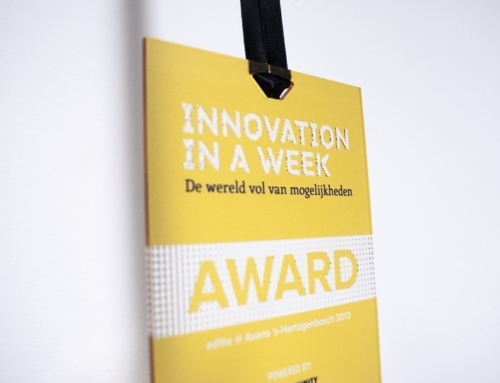 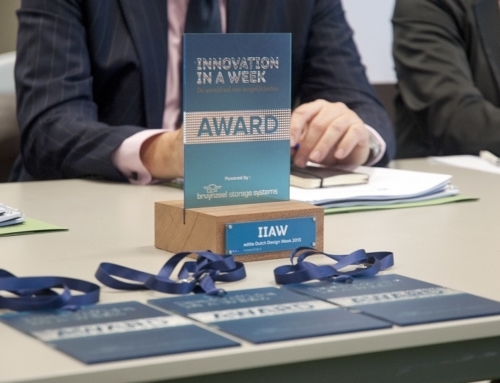 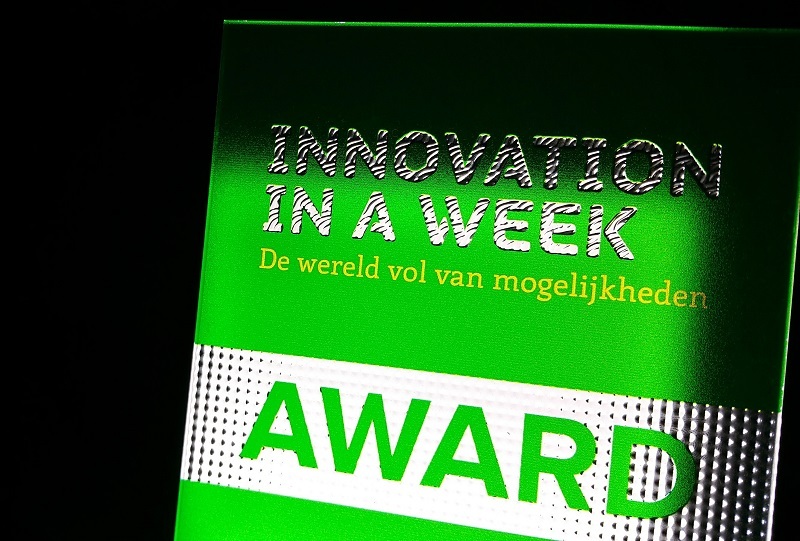 During the week of March 28 until April 4, the event ‘Innovation in a Week 2014’ was held in Oss, The Netherlands. 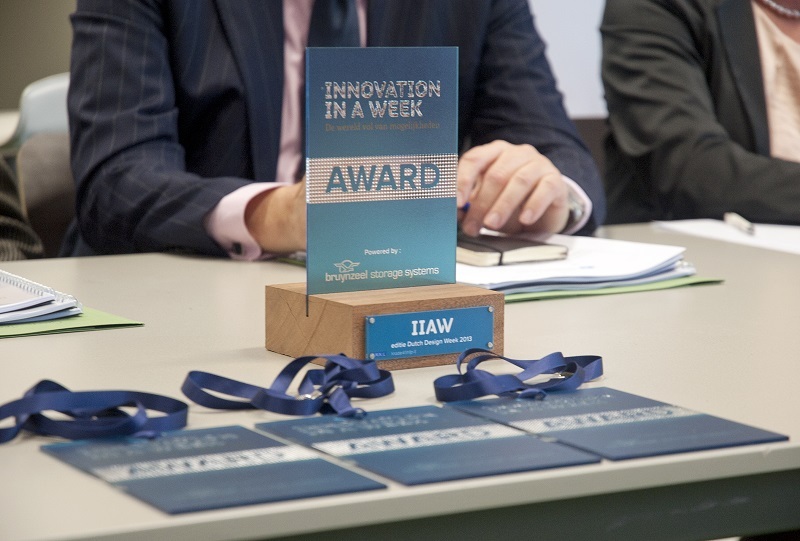 This years theme was ‘The Taste of Tomorrow’. 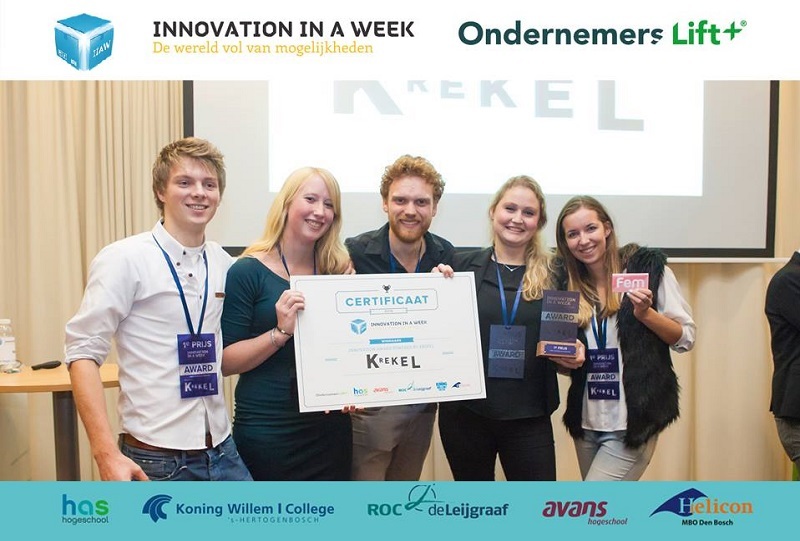 Five student teams of the HAS Hogeschool, Wageningen University, ROC De Leijgraaf and Avans Hogeschool have been working on the development of new business models and patents for the food and agriculture sector. 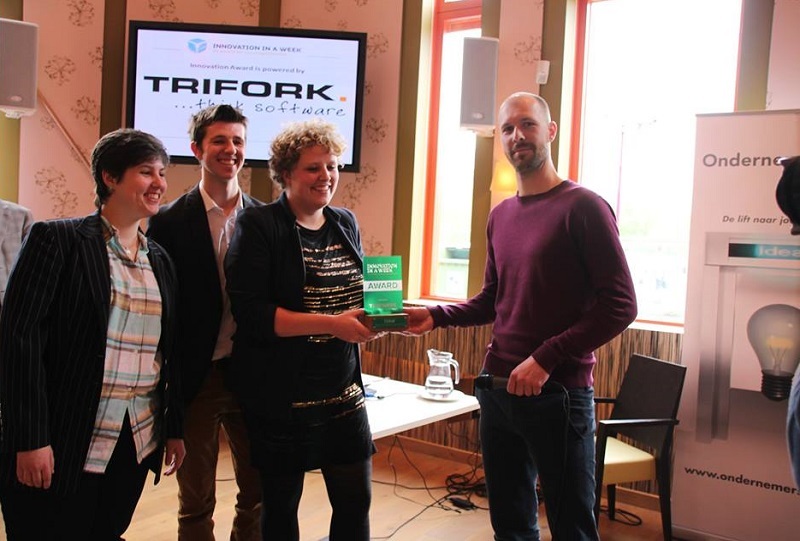 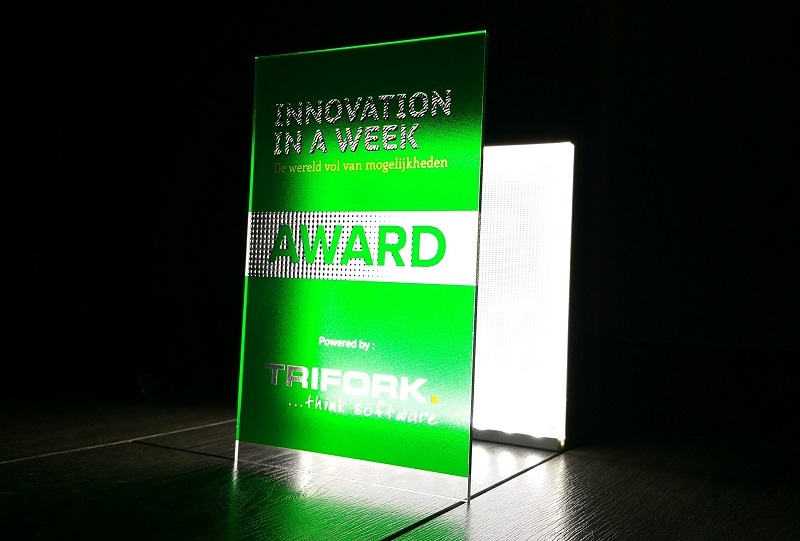 Printed by Luximprint under Design Management of Buro Krachtvoer, team ‘Blox’ finally won the ‘Trifork Innovation Award’ for their modular food cabinet idea.